Run your business the Smart way. Surf, connect, and network all over the world - right from San Miguel. Say goodbye to meetings in noisy coffee shops or eating places where you can hardly hear each other above the din. 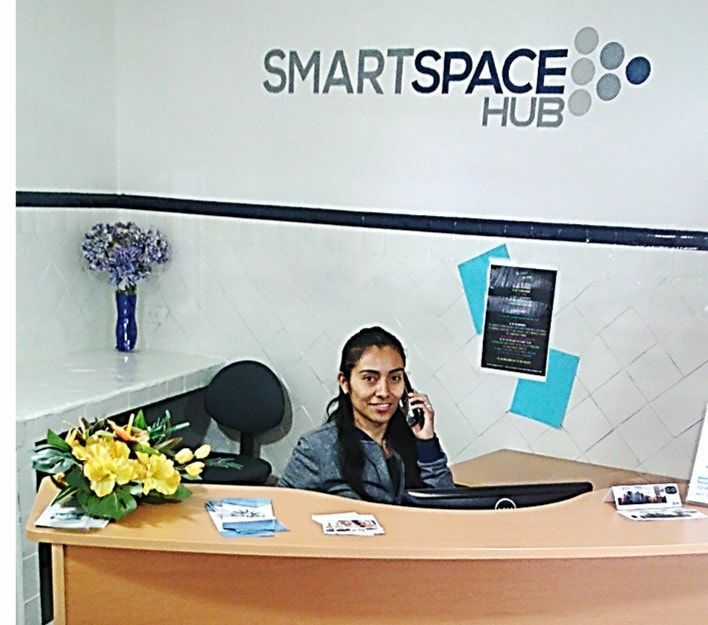 Our fully furnished offices are situated a few minutes walk to the Historic Center of San Miguel de Allende, and also close by is the newly established Organic Market, numerous restaurants, cafes and bars. During normal business hours of 9am to 6pm our front desk is maintained by a very welcoming, polite and helpful receptionist. Although our doors lock at 6pm to the public, our long-term renters and their staff have entry through our 24/7 Access Control system. ​Great ambiance, stable Internet, friendly patrons and a true community vibe!